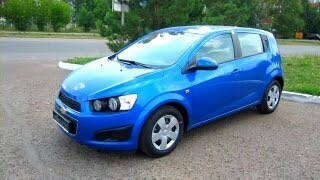 Many firsts can be attributed to the 2012 Chevrolet Aveo. 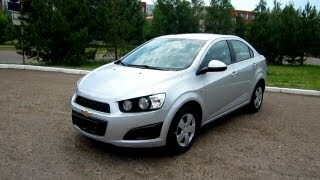 Just before the launch of the Cruze, Aveo was Chevrolet’s most successful vehicle. The Aveo plays the role of a “gap filler” in the overall Chevrolet lineup, where it sits lower than the Cruze but higher than the Spark in the overall Chevrolet pecking order. The new Aveo will be offered both as a five-door hatchback as well as a sedan, each delivering excellent design and performance on the road. The new Aveo has been designed to attract the young car lovers with its youthful and aggressive looks. The car delivers great performance whether one uses it for daily commute or for weekend trip to the countryside. The latest edition Chevrolet Aveo has a completely redesigned interior and exterior and has been given a low-emission engine. 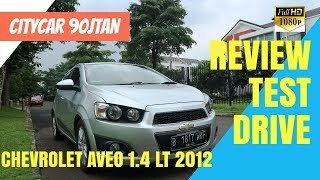 The 2012 Chevrolet Aveo is both wider and longer than its erstwhile cousin, which means it has a spacious cabin and a cargo area, which is probably the best in its class. Certainly better than the Ford Fiesta, its closest rival. The bike inspired instrument panel is a true surprise, which comes with an analogue technometer along with a digital speedo as well as warning lights. The 2012 Aveo will come in both petrol and diesel variants where the petrol variants will be powered by either a 1.2 liter or a 1.4 liter Ecotec engines, with peak outputs of 86 HP and 100 HP respectively. This is the first time these engines are being used n any Chevrolet vehicle. The diesel variants will be powered by two different versions of a 1.3 liter engine with peak output of 75 HP and 95 HP. Customers will be have options to choose transmission types depending on the engine of the car. In the UK, the 2012 Aveo is priced at 10,995 GBP, with the top-end model being priced at 12,195 GBP. The price of the car seems to have been done keeping its close competitor, the Ford Fiesta, in mind. Combining sleek looks, sporty handling, key safety features, fuel economy and versatility, the new Aveo is a small car that makes no compromises. Designed to expand on the success of the first-generation model, the new Aveo is a five-door hatchback that delivers excellent ride and handling characteristics in a sporty and sophisticated design. Equally at home on the daily commute or a weekend drive to the countryside, the new Aveo is a compelling choice for young and young-at-heart, style-conscious drivers. The new Aveo has a completely redesigned exterior and cabin, plus a newly developed chassis and body structure, as well as a range of upgraded fuel-efficient, low-emission engines. The new Aveo has been engineered to make everyday driving in a small car a dynamic and enjoyable experience, while delivering great value for money. In order to ensure responsive handling, engineers developed an all-new chassis for the Aveo that is among the most rigid in its segment. The Aveo’s sporty driving experience is integral to its appeal. It consists of an exceptionally rigid body-frame-integral structure, with the upper body and the frame engineered as a single unit, ensuring a more mass-efficient and stiffer structure. Advanced steels provide considerably greater tensile strength, which improves occupant safety. A McPherson strut front suspension with coil springs and anti-roll bar, and a torsion beam axle-mount compound link-type rear suspension, deliver a tempered, stable ride. The vehicle’s outstanding feedback to the driver is enhanced by electronic stability control (ESC) and an electric power-steering system (EPS), which is fitted to all models. This sophisticated support system includes a wear compensator to guarantee consistently precise steering as the vehicle ages. The advanced body-frame-integral structure is also key to the vehicle’s advanced safety performance. In the event of an incident, the roof can support up to 4.2times the car’s weight. A set of carefully tuned sensors is wired to six airbags, which are standard, as is a four-channel anti-lock braking system (ABS) with brake assist. The driver can activate cruise control with speed limiter function. Once the set maximum speed is reached, the system triggers an audible alarm. The Aveo also offers a quiet, relaxed driving experience. Refined noise-control measures have, in some instances, resulted in a damping performance that is 40 per cent greater than with previous materials and techniques. The Aveo’s external styling brings a youthful feel and sportiness to the class. At the front, a large twin grille with centrally positioned badge immediately identify it as a Chevrolet. Distinguishing features include exposed, motorcycle-inspired headlamps, devoid of any lens cover. They are housed in dual tubes, with high-gloss black bezels and chrome rings. As with the Chevrolet Spark, the rear door pull handles sit in the upper section of the door, creating a coupé-like appearance. The interior of the Aveo has a level of finish and attention to detail more typically seen in more upmarket cars. The distinctive dual-cockpit derives from the Chevrolet Corvette – one of the world’s most iconic sports cars – plus a wraparound instrument panel that flows into the doors. The instrument cluster reflects the motorcycle theme on the exterior by incorporating a round speedometer and a digital LCD readout. Ice-blue ambient backlighting adds a stylish feel. Smartly designed stowage features include two gloveboxes – one with an integrated USB outlet* – plus various compartments and door pockets, as well as three cupholders. All electronic devices installed in the upper glovebox can be operated through the steering-wheel controls or radio interfaces*. The Aveo’s boot provides 653 litres of space, ranking it among the best in class, with the 60/40 rear seat folded. Fuel efficiency, enjoyable driving and a small environmental footprint were the main criteria guiding the design of the Aveo’s engine line-up. The 1.4-litre petrol engine (100PS) gives the Aveo lively acceleration and an immediate feeling of performance during low-speed driving. The petrol engine range also includes 1.2-litre units rated at 86PS plus a 1.3 VCDi diesel engine. The latter is the first VCDi diesel to appear in a small Chevrolet in Europe, and features common-rail fuel injection, stop/start technology and a variable-geometry turbocharger. It is available with two power outputs – 75 and 95PS – with the latter also offered in low-emission EcoDiesel form. The petrol engines feature dual-overhead camshafts and variable valve timing; the cast-iron cylinder block is based on a hollow frame structure. The 1.2 and 1.4 have a cast-iron bedplate that provides a stiffer structure, resulting in quieter and smoother engine performance. Fuel consumption and emissions are among the best in the sector with the 95PS 1.3-litre EcoDiesel capable of returning 78.4mpg on the combined cycle. CO2emissions for the range start from just 95g/km for the 1.3-litre EcoDiesel. The Aveo is the first Chevrolet small car with a six-speed automatic transmission. Available with the 100PS 1.4-litre petrol model, it offers smooth changes and is perfectly suited to urban driving. 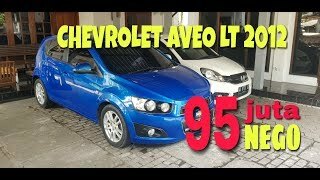 Like all Chevrolet models, the Aveo delivers remarkable value for money. Priced from £9,995, the Aveo is available in three trim levels: LS, LT and LTZ. Equipment levels are high across the range, with the range-topping LTZ featuring standard features normally reserved for bigger and more expensive cars. All models are covered by Chevrolet’s Five-year warranty.